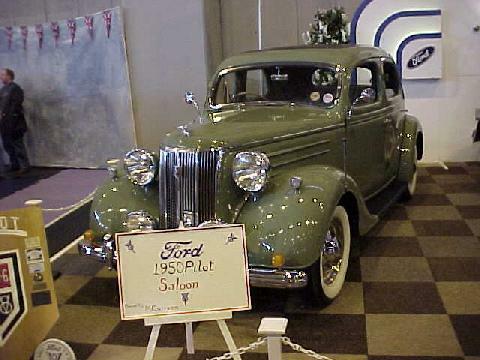 The first post-war "Big Ford" was the V8 Pilot, launched in 1947. 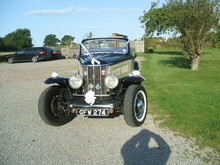 The Pilot used the pre-war 22hp chassis combined with a 30hp sidevalve V8 which had been in service for some time. The Pilot featured Hydro-mechanical brakes and a column change gearbox and had a very transatlantic feel. Although most Pilots were the standard four door saloon type a few other derivatives were also built. 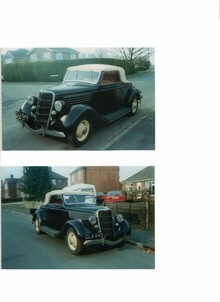 Other types of body included a rare pick-up version and an estate car. Some pick-ups and a handful of 6-light 7-seater limousines were made by outside coachbuilders. 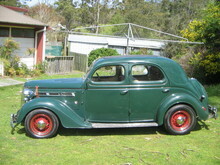 A special V8 Pilot Estate was built for the Royal family and is now displayed in the museum at Sandringham. 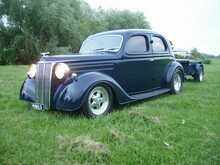 Production of the V8 Pilot finished in 1951, by then the Ford Zephyr had established itself as they new "Big Ford".